It's Monday -- everyone's least favorite day of the week, mine included -- but if it makes you feel any better, it's already time for the February round of Cucina Conversations! (Feeling a little better? Thought so.) This month's theme is Carnevale (Carnival) the period leading up to martedi' grasso (Fat Tuesday) which is then followed by Ash Wednesday and then Lent. Since Fat Tuesday falls early this year -- tomorrow, February 13th -- my fellow bloggers and I are sharing our recipes mid-month. Lent is a 40 day period of fasting and more modest eating (ex: no meat on Fridays) and in anticipation of this, the traditional dishes eaten in Italy pre-Lent are pretty indulgent, as everyone gets their fill of the foods they will soon theoretically be without. You'll find recipes like lasagne alla napoletana from Naples, or lasagna taken over the top with the addition of sausage and hard-boiled eggs; fagioli grassi from the Piedmont region, or beans cooked with pork; or migliaccio, again from Naples, or polenta baked with pork and lots of cheese. 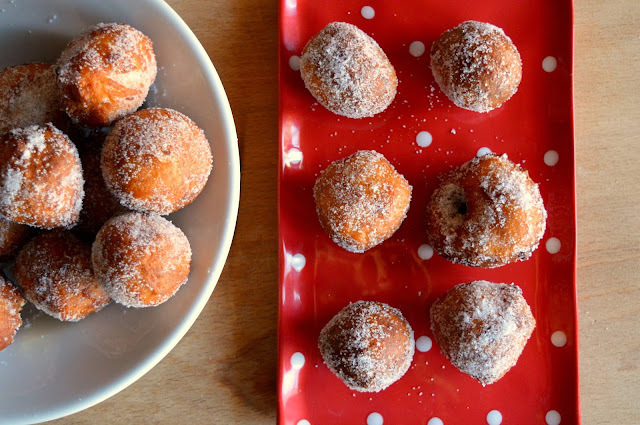 Desserts to celebrate Carnevale in Italy are fried, because really, if you're going to be skipping dessert for 40 days, you might as well go all out and deep-fry the end to your meal, no? 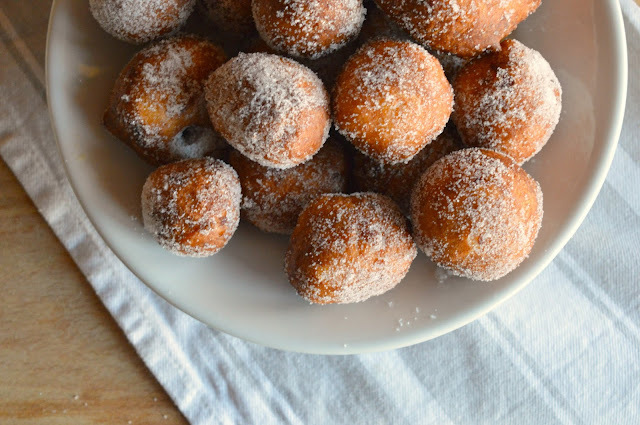 Italy's repertoire of fried Carnevale sweets is incredibly vast, with dolci that vary from region to region; there is schiacciata alla fiorentina from Tuscany, arancini dolci from Le Marche, krapfen up north in the Alto-Adige region, as well as chiacchiere (which also go by the names frappe, crostoli, or bugie, depending on where you are in Italy) and castagnole, plus countless more. Phew! Still with me? Never one to shy away from a little sugar, I opted for a dolce this month, more specifically zeppole sarde (zeppole from Sardinia) which also go by the name zippulas in Sardinian dialect. There are many different variations on zeppole in Italy; the zeppola eaten in Naples around Carnevale is shaped like a doughnut, and rolled in sugar; zeppole pugliesi are made with rice and fried; different still are the zeppole eaten on St Joseph's day on March 19th, which are baked and filled with pastry cream; there are also savory zeppole, which go by the name pasta cresciuta. 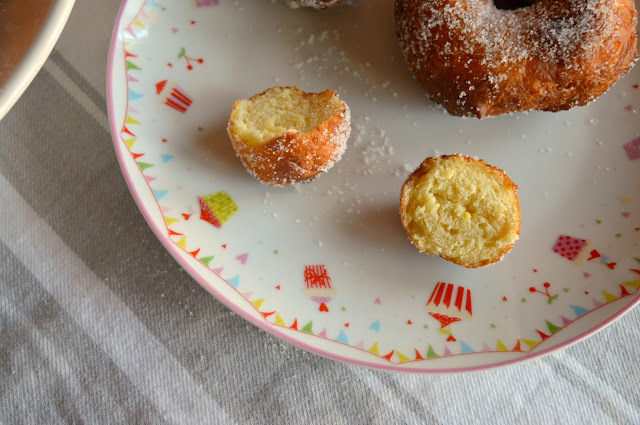 The zeppole that come from Sardinia are my favorite, though; much like the island itself, they are extra special, made with orange zest, potato, and saffron, a seemingly odd array of ingredients that come together to make a truly fantastic sweet. This recipe comes from one of my culinary idols, Gina DePalma (the mind behind this magnificent ricotta pound cake, these addictive taralli, and this spectacular honey pinenut tart) and, as I've come to expect from any DePalma creation, were oh-so-perfect. 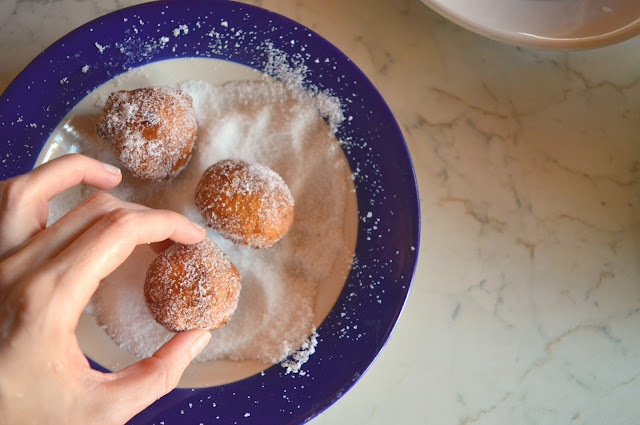 These zeppole were deep golden brown and crisp on the outside, delightfully fluffy and cloud-like on the inside, extra fragrant, redolent of orange with a hint of earthy saffron, pure bliss when eaten warm and rolled in a flurry of sugar. The saffron gives the zippulas a flavor that is a bit more complex and nuanced than that of your typical dolce carnevalesco, making them a bit more elegant and refined, exactly what you would expect from an ingredient as precious as saffron. Swooooon. Flavia from Flavia's Flavors is sharing her recipe for frappe, another popular dolce carnavalesco. Last but not least, Lisa from Italian Kiwi will be making strauben, from the Alto-Adige region of Italy. A couple of notes: You can find some helpful tips on frying towards the end of this post here. If you don't have any grappa laying around, you could substitute brandy or even cognac, or substitute 2 or so tablespoons milk if you want to leave it out all together (I have done this before with good results). 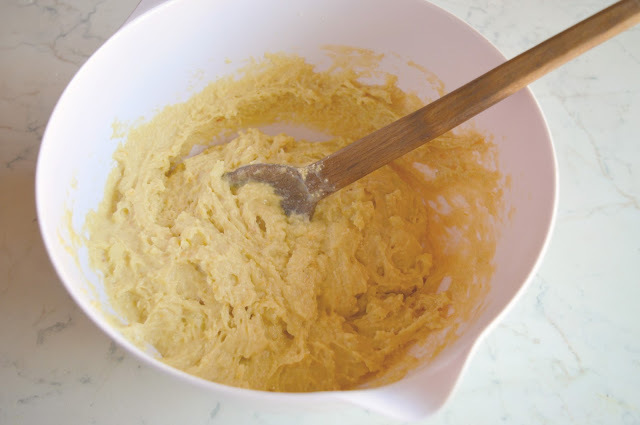 The recipe as written recommends 1 teaspoon of saffron, which makes for a very saffron-y zeppola -- I reduced the quantity to 1/4 of a teaspoon while testing this and was happier with the more subtle saffron flavor, but I leave the choice to you. Gina suggests frying these in olive oil, but I used peanut oil because it is what I had around, with good results. 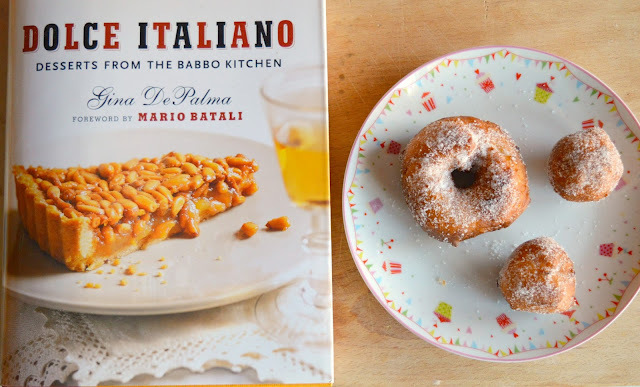 Feel free to roll the zeppole in powdered sugar instead of granulated sugar if you prefer. Finally, note that these, like all things fried, are best eaten as soon as possible and do not keep well. Boil the potato in salted water until it is tender when pierced with a knife. Drains the water and allow the potato to cool slightly, then peel off the skin. 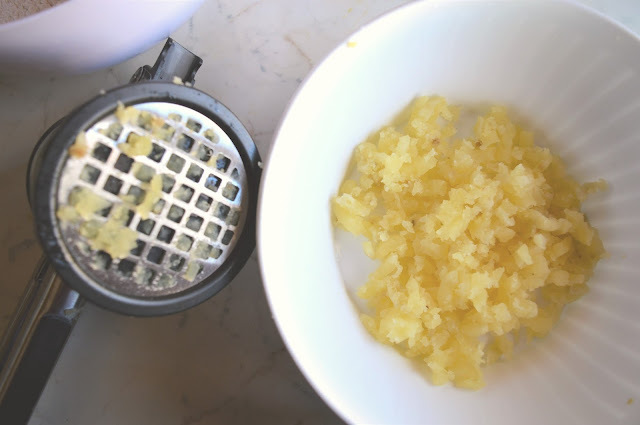 While the potato is still warm, pass it through a potato ricer and spread the riced potato out on to a place to cool completely. In the meantime, zest the oranges and squeeze the juice into a small bowl, straining out any seeds, until you have 1/2 cup juice. Scald the milk in a small saucepan over medium heat and add the saffron threads. Remove the pan from the heat and allow the saffron to infuse and color the milk, whisking occasionally, until the milk has cooked to lukewarm, or 105 degrees Fahrenheit if you have a cooking thermometer around. Strain the milk to remove any bits of saffron if you don't want them in your zeppole (otherwise, feel free to leave them) and whisk the yeast in to the milk mixture to dissolve it and allow the mixture to proof (i.e: get bubbly) for about 5 minutes. 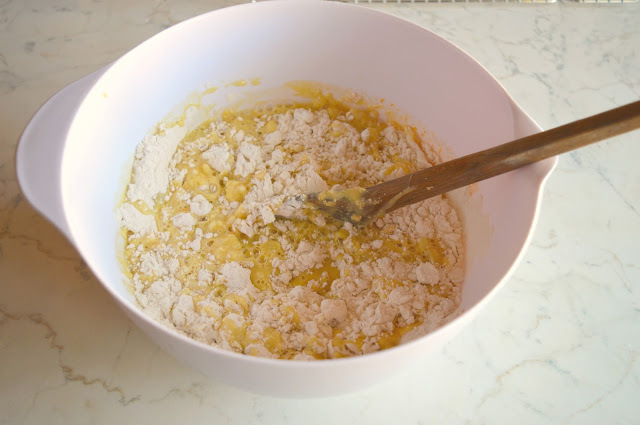 Place the flour in a large bowl and combine it with the salt. Add the potato to the bowl. 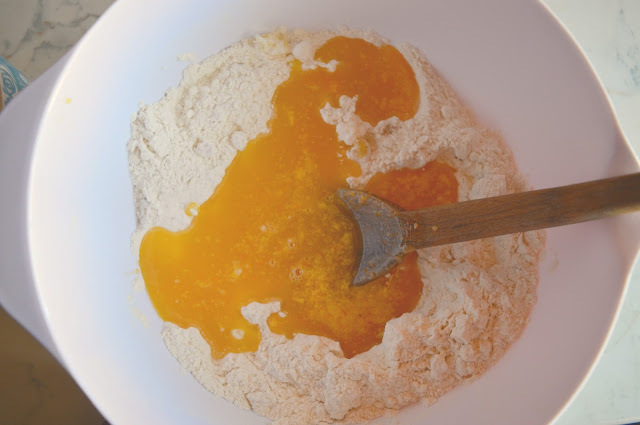 In a medium bowl, whisk together the egg with the sugar, orange juice, orange zest, and grappa, then add this mixture to the flour and potato, along with the warm milk and yeast mixture. 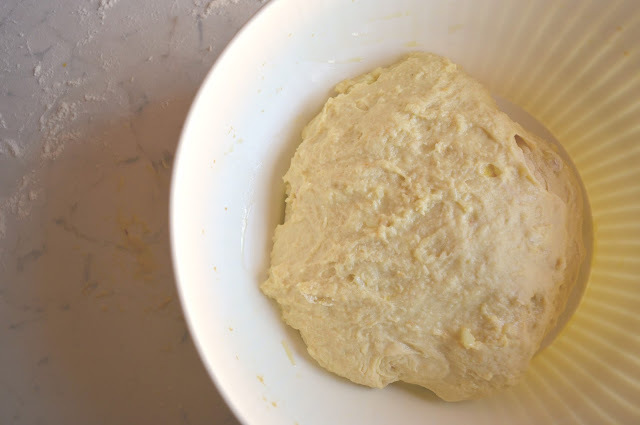 Work the ingredients together with a fork, then by hand, forming a ball of dough. Transfer the dough to a lightly floured work surface and knead it, adding more flour if necessary, until the dough is smooth and elastic, about 2 minutes. 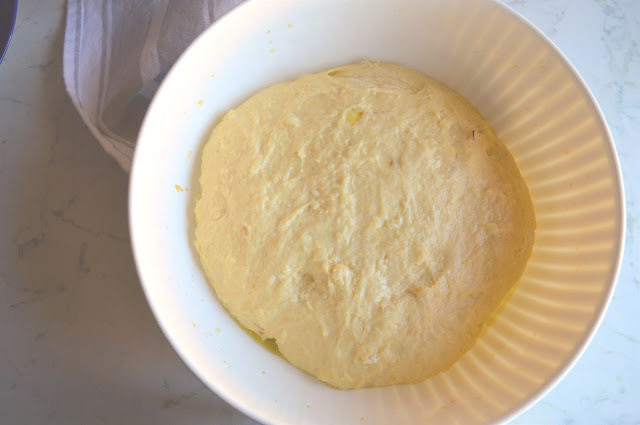 Place the dough in a greased bowl, turn it once to coat it, and cover the bowl with plastic wrap or a damp towel. Place the bowl in a warm place to rise until the dough has doubled in bulk, about two hours. In a heavy bottomed stockpot, heat the oil to 360 degrees Fahrenheit or 180 degrees Celsius -- it is best to use a thermometer when frying, as oil that is too cold will result in a soggy, greasy result, and oil that is too hot will cook whatever you're frying on the outside but not on the inside. 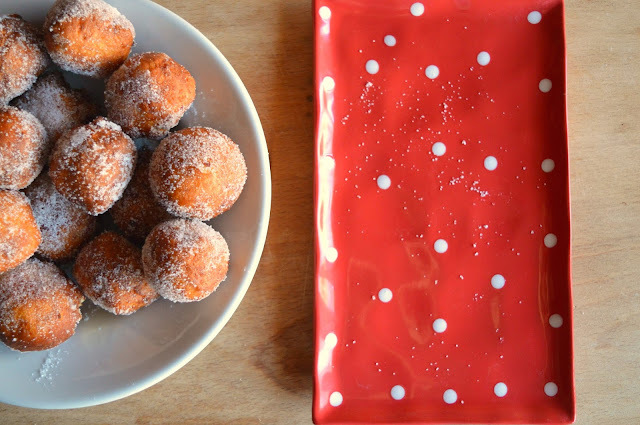 Using your fingers, break off 1-inch pieces of dough, and roll them in to balls with your palms. If you'd like, you can also do as I do an break off a larger piece of dough and form it in to a doughnut shape -- roll the dough in to a ball, pinch the middle of the dough ball with your thumb and pointer finger, and then stretch the dough to make a whole in the middle. 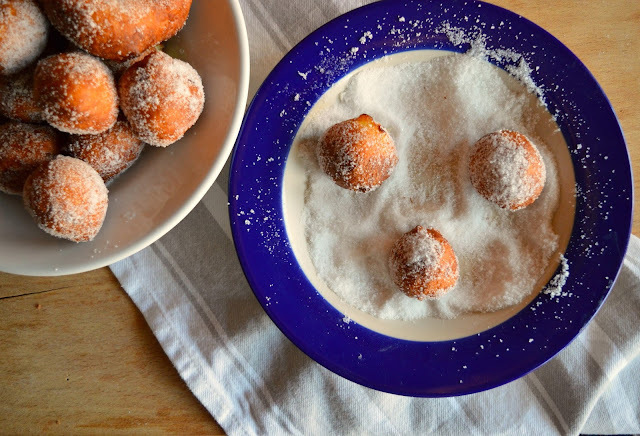 Fry the zeppole in batches, 3 or 4 at a time, until they are golden brown and crisp, turning them with a slotted spoon until they are deep brown on both sides, about 3-4 minutes. 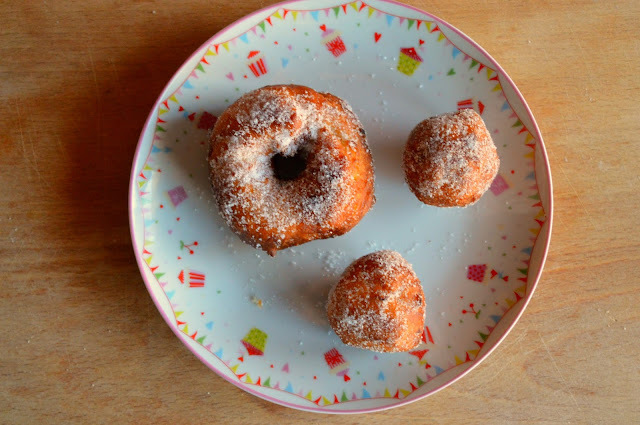 Drain the doughnuts on paper towels, let them cool slightly, then dust them with confectioner's sugar or granulated sugar (your choice) and serve warm. Makes 25-30 zippulas. Seeing these doughnuts definitely made my Monday a lot better! They look really delicious! I do have a question about the used oil. Do you reuse it for other things? I don't often deep-fry things as I'm never sure what to do with the oil afterwards.